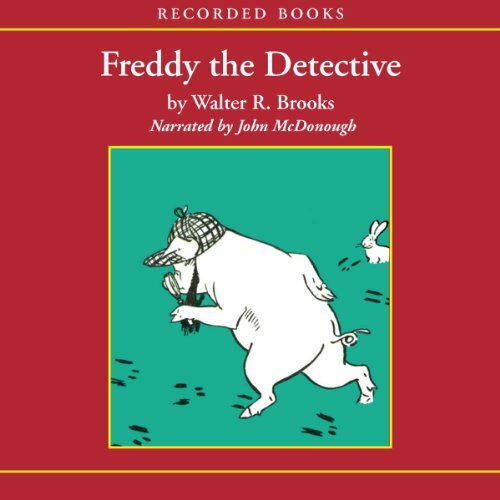 "Oh, I am the King of Detectives, / And when I am out on the trail / All the animal criminals tremble, / And the criminal animals quail..." boasts Freddy, the poetry-prone, Sherlock Holmes-obsessed pig who stars in Walter R. Brooks's beloved series. From 1927 to 1958, Brooks wrote 26 Freddy books--including Freddy Goes to Florida--all focused on the well-rounded pig, who has been described by various fans as ingenious, intelligent, loyal, and resourceful. Since Brooks's books fell out of print, librarians across the country have scrounged up copies wherever possible, even resorting to photocopying the books and binding them with hockey-stick tape! To the delight of thousands, the fabulous Freddy books have been reprinted by Overlook Press!